KleenGuard Personal Protective Equipment (PPE) enables rather than inhibits – allowing for maximum productivity and safety for you and your employees. If you or your workers are in dusty (hazardous and non-hazardous) environments where exposure to sparks is possible, you need the Kleenguard A65 Flame Resistant Coveralls. They are made with a breathable material with a high moisture vapor transmission rate, so that they can be comfortably worn over flame resistant garments (A65 coveralls are not primary fire protection gear). 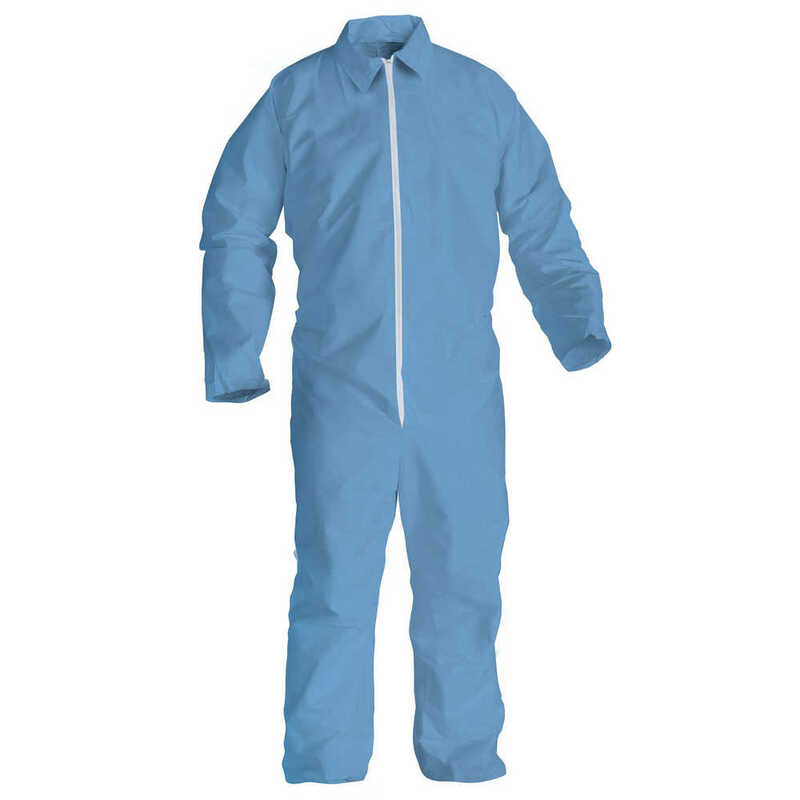 This model of A65 coveralls features a zippered front and open wrists and ankles, and they are sized to the ANSI-ISEA 101-1996 sizing standard. This PPE complies with the NFPA 701 Flame Propagation Test, so they are a smart choice for welding, oil refining, utilities and grinding environments. *Do not use for fire protection; Avoid open flame or intense heat; A65 garments do no provide thermal insulation / protection Making the right Personal Protection choice is difficult. Perform with distinction with KleenGuard Personal Protective Equipment (PPE).